In early September, I travelled to North Bay, Ontario to teach a 3-Hour FastTrack Training workshop called “Being a Disciple: Counting the Real Cost.” The workshop was hosted by Pastor Wilbert and Stephanie Zavitz. They had 51 people in attendance, with many excited to dig into God’s Word and learn how to disciple others. This workshop uses the first lesson of the 40-Minute Bible Study Being a Disciple: Counting the Real Cost. This study is not an easy one to do, because the truth of Scripture in these discipleship lessons is hard hitting. The message is simple and clear and brings the student to the point of action. 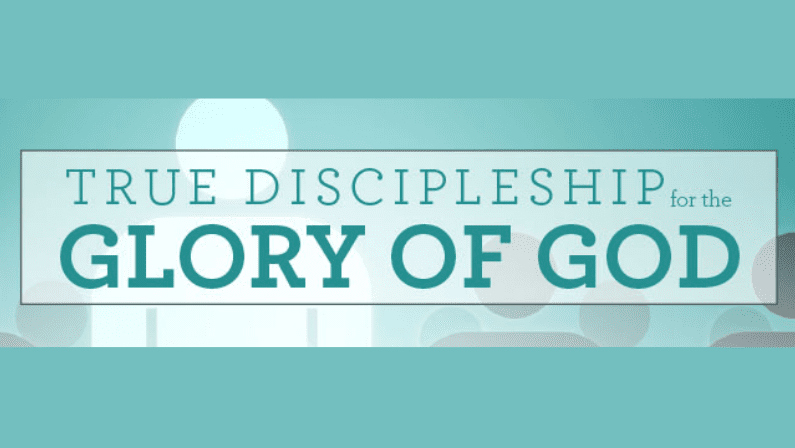 Truth 1 – True Discipleship has a cost. The message of the gospel will cause suffering, hatred and division, but the one who endures to the end will be saved. Read Matthew 10:16–22 and see what Jesus tells His disciples. Truth 2 – True Disciples can’t live with a fear of man. How often the fear of man causes us to change the way we live and act. True disciples fear the Lord and not man. Jesus says, “Do not fear those who kill the body but are unable to kill the soul; but rather fear Him who is able to destroy both soul and body in hell” (Matthew 10:28). Truth 3 – True Disciples must lose their lives. The ultimate sacrifice for a disciple of Jesus Christ is to give up one’s life for Christ. In Matthew 10:32–40, Jesus’ call to His disciples was to take up their crosses and follow. The significance of the cross is a picture of a violent and degrading death. What Jesus wants is total commitment even to physical death. As we study the New Testament, we see disciples like Peter and Paul who gave their lives for the furtherance of the gospel. To be willing to go to this length, a true disciple has to count the cost and see if his or her own wants and desires of the temporal world outweigh the promise of eternity. True disciples focus on eternal things and not the pursuit of their own personal desires. In North Bay, I witnessed first-hand a group of people who are walking toward true discipleship. Although there were 51 people in attendance, Pastor Wilbert and Stephanie were quick to point out that of the 51 people, 19 were from a program called “Celebrate Recovery”. This program is a 12-step program to help people overcome hurts, hang-ups, and habits. Some of the people attending our workshop were recovering from drug and alcohol struggles. Some spent time incarcerated, but now they sat in a Precept leader training workshop shouting, “Amen!” as the truth of God’s Word was revealed to them. How exciting it was to see these people as they were now, having once passionately pursued habits that fed their own desires but not in passionate pursuit of Jesus Christ. Pastor Wilbert and Stephanie have already started the process of implementing the 40-Minute study Being a Disciple: Counting the Real Cost into their women’s ministry program. They hope to continue to disciple their church with these powerful Bible study materials. God is at work across this country as we take the 40-Minute studies from church to church in our FastTrack Training workshops. Lives are being changed for the glory of God, and through the studies, people are learning what it means to be a true disciple of Jesus Christ. The challenge of making disciples is that our country is huge, the workers are few, the resources are limited—but the field is ripe for harvest. Would you pray and ask the Lord how you can partner with us in making disciples? Is God calling you to start a class? Disciple someone in your church or community? Or is He calling you to make a sacrificial financial gift to the work of Precept? Our workshop attendance has increased because we have been offering our Discipleship FastTrack workshop at no charge, only asking that those attending consider a donation. This is a step of faith that God has called us to make, and so we’re being obedient to Him by offering the workshop for free. Pray and ask God the Father what your step of faith will be for the furthering of His Kingdom.